The solution provides for imposing to the new “state” a complete disarmament status, that is forbid it from the right of self-defense and the means to exercise it (an army). And do it in a permanent terms, not as a temporary measure, as it happened with Germany and Japan after the 2kd World War. In Orwellian terms, this is called “Cyprus demilitarized”. In reality there will be many traffic problems there provoked, because of the military vehicles of Britain, Turkey, other NATO countries and Police cars from various “Christian and Muslim countries” which will be present there. Britain and Turkey will have the legal right to intervene militarily inside a territory of the European Union. Mr. Anastasiades has already agreed to all that, Mr. Tsipras is under pressure also to agree. Mr. Yuncker, Mrs. May and Mr. Erdogan already agreed. There remain some serious differences still on the composition of the Conference which remain to be settled as we write this article. Is all that legal? No, nothing here is legal. (Look to the appendix 1, for the opinion of the Honorary President of the International Association of Constitutional Law, Professor Kasimatis). On the contrary they represent a coup d' etat stricto sensu and in two ways. They constitute the most serious possible breach of the constitutional order of the Republic of Cyprus and of the Treaties of the European Union, as Cyprus is a member of this Union. No international conference and not even the President of Cyprus himself (or, for that matter, the Greek PM) has any right to sign agreements that infringe on the sovereignty of the Cypriot state (like for instance legalizing the Turkish military presence on the island, when numerous UN resolutions ask for the immediate withdrawal of Turkish forces, which invaded the island in 1974). Even more, nobody, including the President of Cyprus, has the right to change the constitutional structure of his state, much more, abolish it altogether! If they do it, it would be a coup d' etat, in the strict legal sense of the word, that is a serious breach of the constitutional order of the Republic of Cyprus and, as this Republic is also a full member of the European Union, of the Treaties of the EU. Such things would be probably legal, only if we were living still under a medieval regime of absolute monarchies, not in Europe in 2016. The whole Geneva conference reminds us very much of what happened in Vichy, France, on the 10th of July 1940, when the French National Assembly invested, with an overwhelming majority, Marshal Petain with constituent powers. In spite of the fact that even it was the National Assembly itself which took this decision, everything Petain did was considered a coup d' etat and, inspite of being a hero of the First World War, he was condemned to death after the liberation of France. Charles De Gaulle has become what he became, in the history of France and of the world, because he refused to recognize this, supposedly legal coup, by the French deputies and Petain and fought against it. In Cyprus, unlike Petain, Mr. Anastasiades not only did not get an authorization of his parliament for what he is doing, he even refused a demand of the opposition for an urgent debate. According to what he said the Republic of Cyprus will not be present in the Geneva conference. All documents there will be signed by the “new Cyprus federation to be constituted”. In that way he revealed the real purpose of the operation, which is no other than to abolish the existing state in Cyprus (we repeat, a member of UN and the EU) and to create a new one, without asking the opinion of the citizens, without electing a Constitutional Assembly and without any authorization from anybody to do that. In that case, we don't speak even about an operation of regime change. We have to speak about “country change”. Let us come back at this point to the term coup d' etat we used. Maybe the readers are associating this with tanks and machine guns. Concerning the use of weapons they have to be a little patient. They will hear most probably their noise (as they heard it from Kiev), but they have first to wait until the Geneva operation succeeds and if it succeeds. But a coup d' etat has nothing to do with the means used. It has to do with the breach of the constitutional (and European in our case) order of a given state. Maybe the readers will also question if a head of a given state can make himself or participate in a coup d' etat against his own state. Not only he can, he is a thousand times more effective if he chooses to do it, as the only thing he has to do is use and abuse the powers he already legally possesses and can use. For example, the legal head of the Greek state, King Constantin, has participated in a US-backed coup d' etat against the constitutional order of his own state in 1967, by legalizing the government of the Colonels. 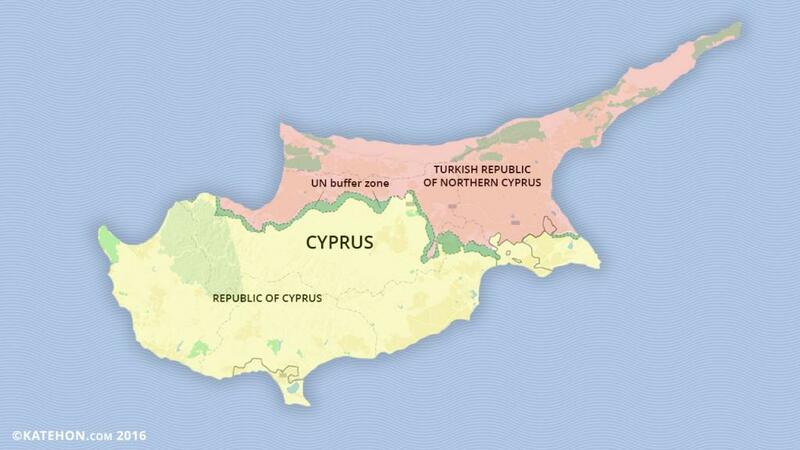 Has the Republic of Cyprus taken the Road of No Return? Nuland in Nicosia – towards “regime change” in Cyprus?